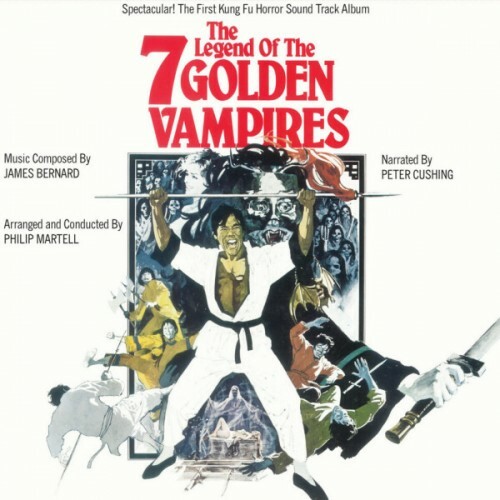 Released in 1974 in the UK only as a new spin on the soundtrack album, the Peter Cushing narrated “ The Legend Of The 7 Golden Vampires” made its brief appearance in the racks of record stores and then vanished. 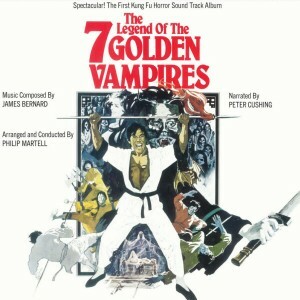 Unavailable on vinyl for over 40 years and now a real collector’s item..Dust Bug have unearthed this second gem of a release to sit next to the previous Dust Bug release- Hammer Presents Dracula with Christopher Lee. A great retro release of good days gone by and a must for all Hammer fans. Dust Bug Records are proud to confirm that this record has been cut on vintage analogue equipment from restored original source materials to 1/4 inch tape . Blood Red and Black Belt marble Vinyl. Limited to 500 Numbered copies only.